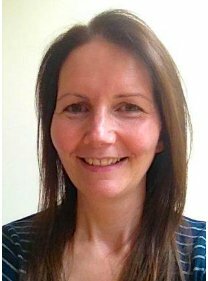 My name is Dr. Emma O’Neill and I am a lecturer in Small Animal Medicine in the Veterinary College at University College Dublin. Within the Veterinary Medicine undergraduate programme, I teach clinical neurology and gastroenterology to third and fourth year students, in addition to general small animal medicine to final year students on clinical rotation. I am also the programme director for the Graduate Certificate in Small Animal Medicine, an online post-graduate programme for veterinary practitioners. In this case example, I am focusing on the technology I use to provide on-line formative assessment for the Graduate Certificate programme, an NFQ level 9 post-graduate programme aimed at veterinary practitioners. SNAPIs are used as a reusable learning resource within this programme, largely as a tool to promote active student engagement and allow the delivery of timely, formative feedback on authentic tasks. 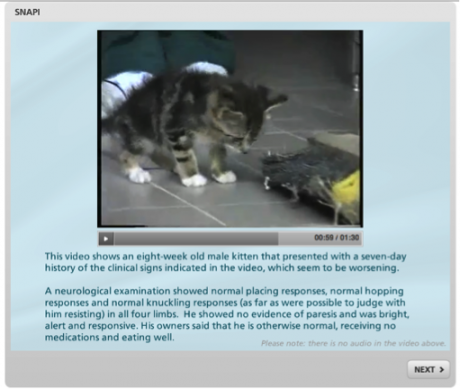 Working with Mark Carty, Educational Technologist for Veterinary Medicine, we developed SNAPIs as a reusable learning resource using Storyline Authoring software. SNAPIs, or small nuggets applied practically to inform, are interactive short clinical vignettes that combine clinical commentary with a combination of structured, formative single best answer or true / false questions and feedback. What do you feel are the advantages of using this technology? Working with Storyline we were able to construct reusable, stand-alone resources showcasing authentic clinical scenarios in a visually appealing way and allowing the provision targeted formative feedback to the students. From a teaching and learning perspective, the provision of authentic clinical material with written, pictorial and / or video components, formative feedback and references / links for self-directed learning, incorporates many of these aspects of good teaching practice. It should appeal to a variety of learning styles, engenders an active approach to learning and allows flexibility in usage and links into student prior learning. The SNAPIs were integrated into the Blackboard (VLE) and released on a gradual basis over the course of the programme to supplement more formal content. The use of clinical materials such as radiographs, video examinations or clinical pathology results allowed the generation of questions based around clinical problem-solving and higher order skills, all key to the promotion of meaningful, deep learning. 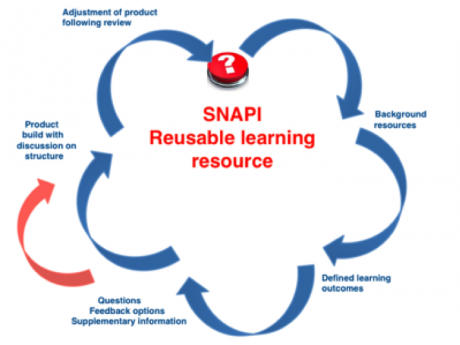 SNAPIs represent a very valuable, flexible and highly transferable reusable learning resource with broad potential application. They have proved very popular with students due both to their perceived relevance relating to ‘real-life’ clinical content and their format. The short, interactive quiz style appealed to current life styles and felt like ‘light relief’ compared to more formal presentations. The main disadvantage would be the time investment required to generate the material. However, this is time well spent as it effectively front-loads the workload and makes provision of feedback possible even with large student numbers. We have found that the use of a template and question formats based around a few standard structures has allowed the speed of construction to increase considerably. Give it a try! We have found this approach both rewarding and flexible. We have had great feedback from students and it has provided us with a way to start archiving clinical material in an accessible way that was otherwise going to waste. This SNAPI RLR approach that we have developed has broad potential applications. The general framework could be used in any setting where the aim is to get students to interact with material and gain formative feedback sparking further study. The current design is specifically oriented towards an on-line delivery, however it could easily be adapted to allow a blended, flipped classroom approach. The simple structure aimed at small bites of information lends itself well to use on mobile devices and learning on the move. The use of clinical material, images and video draws students in, viewing it as a more ‘light-hearted’ approach that captures their interest. – They are used to provide formative feedback on clinical interpretation and reasoning tasks within the small animal medicine graduate certificate programme. – In addition, they provided the opportunity for students to practice with the single best answer style questions used as part of the summative end-of-semester assessment. Planning of how you intend to present content and the use of a pro-forma document, can help reduce time considerably. Working with an educational technologist or asking for their guidance is invaluable. Once a structure is in place, this approach can be re-used for multiple RLRs employing a similar format. We would be really interested to hear how you get on, any ideas and feedback!